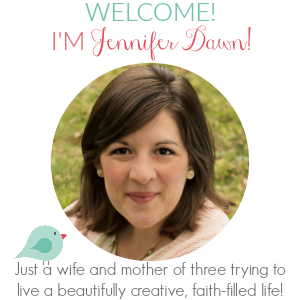 This last pregnancy with Caleb was no exception--the pregnancy blahs left me unable to clean and organize as much as I would have liked, and I got out of my normal routine. I'm a tad OCD when it comes to the house, so messiness bothers me. Now that pregnancy is behind me and spring is looming before me, I have had the energy and motivation to get back into my normal cleaning routine and to get the house back into tip top condition. 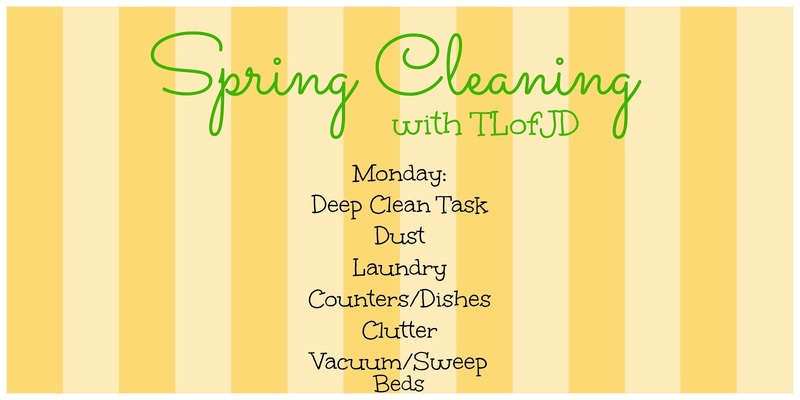 I'd love for you to spring clean along with me this week as I continue to pick back up with my cleaning habits. what is my secret to keeping a clean house? The keys are organization and maintenance. 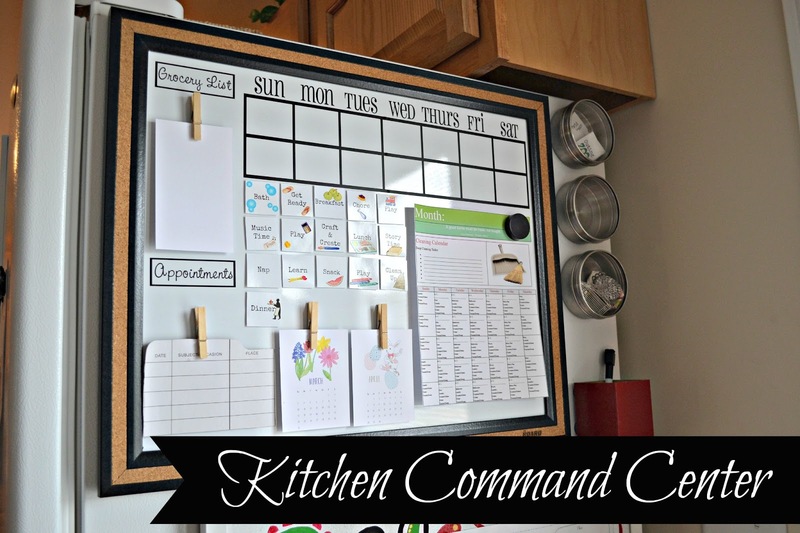 Did you see the command center that I posted last week? One of the items on the board that I keep handy is my cleaning calendar. Once upon a time, I was a Saturday cleaner. You know...the system where you clean the whole house in one day. That system left me with a clean house, but it also left me feeling exhausted and like my entire Saturday was spent. 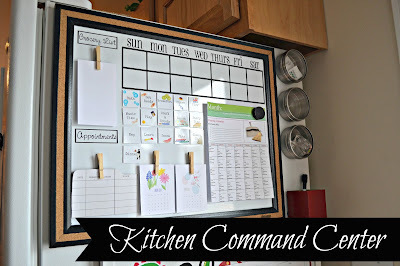 I still found myself having to clean during the week and longed for a better way. Ineffective! The end. My personal cleaning routine is what I am going to guide your through this week as we spring clean together. I'll also share with you some tips and tricks that I've learned along the way. With three kids, I have to keep my cleaning routines simple and quick. Let's face it...we all want a clean house, but not at the cost of having to spend too much valuable time cleaning. I have found a system that works for me. And it may or may not be a good fit for you. My hope is that if you clean along with me this week, you'll be able to develop a system that will work for you or at least get a jump start on brushing that winter grit and grime off your home. Ready to get started with Monday's tasks? Let's get off to a running start. Gather one load of laundry and throw it into the wash. As you find time throughout the day, dry, fold, and put away this load. This is another great task to do first thing in the morning. My daughter Lydia Grace has gotten old enough to even make her own bed, so I have her do this as her morning chore. 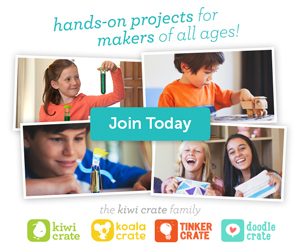 Bed making is a great way to get the kids involved and teach responsibility. Rule of thumb: Always work from high to low surfaces and never dry dust. You'll find yourself just pushing dust around instead of ridding your home of it. Dusting day gives me a chance to take care of any clutter that I encounter as I work from one side of the house to the other. Carry a basket with you as you work. It can hold your cleaning supplies and also be a great place to stash items that you find along the way that need to be put back in their "homes". My time saving secret: I own one of the robotic vacuums that I can place into a room, push a button, and walk away from. Yep, that's my vacuuming secret. It's been a lifesaver! If you don't have that as an option, save the main vacuuming for Thursday which is Floor day. For today, simply spot clean any areas that need a quick sweep. For me, that is always under the kitchen table after the kids have eaten, entryways where things get tracked in from outside, or spills that may occur throughout the day. Remember that one of the keys is maintenance, so quickly spot cleaning as needed will only save a lot of time in the long run. I take care of the dishes as I go along. Dirty dishes get washed or placed in the dishwasher immediately, so I don't end up with an overwhelming pile in the sink. The time you spend in the kitchen preparing meals is an excellent time to clean as you go and wash any dishes. Even while cooking, that dirty measuring cup automatically goes to the dishwasher. As far as the counters, wipe them down at the end of the day or after you clean up from dinner, so you can start the next day with a clean counter top. For the first day, it may seem like a lot. Trust me when I say that once you get into a habit, these tasks become quick, easy, and automatic. Alright, let's get started. I'm off to throw the load of laundry into the wash and then enjoy breakfast with my kiddos.